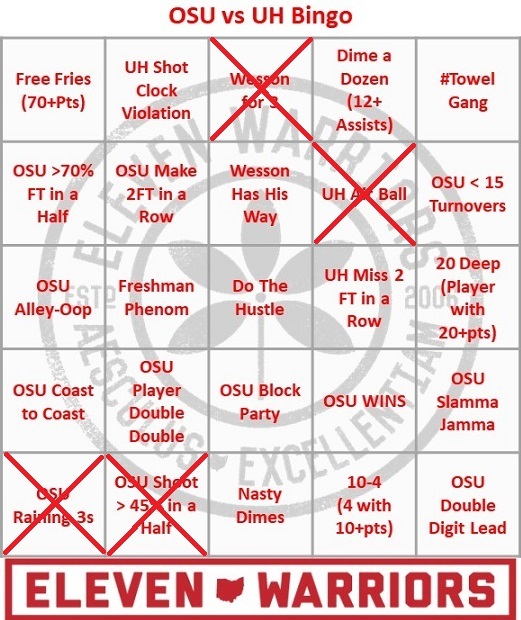 UH 39 - OSU 31. Need to fight through and keep trying to get into the paint and get fouls called. That will stop some of their aggression. Also need to get back on defense as they are going to run all the time.